The Travelodge Suites Key West is conveniently located on US 1 across the street from the Gulf of Mexico. We are only 3 miles from historic and fun-filled downtown Key West with its many restaurants and shops.The Travelodge Key West offers a beautifully landscaped outdoor pool, Business Center in the Lobby and a complimentary continental breakfast. 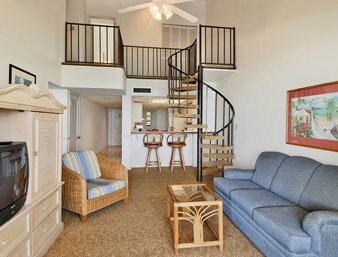 Free Wireless Hi-speed access is available in all rooms.We offer our guests 1, 2 and 3 bedroom suites which are all non-smoking--largest suites in Key West with Gulf Views --as well as our comfortable standard rooms with 1 Queen bed. Sorry, No Pets Allowed. NOTE- ALL GUESTS MUST REGISTER AT THE FRONT DESK AND MUST BE 21 OR OLDER UNLESS ACCOMPANIED BY A PARENT.